A recent study1 funded by the American Beverage Association reported that diet drinks can help people lose weight. Critics of the study identified a number of drawbacks within the study itself, not the least of which is the obvious conflict of interest posed by the study’s sponsor. While critics and supporters hash it out over whether or not diet drinks actually do or don’t help people lose weight, others have recognized that weight loss may not even be the most important issue. The primary question is rather, Are artificially sweetened sodas even safe? CBS News2 reported that diet drinks are linked to sugar cravings, snacking, disruption of appetite control and an increase in body mass index. The same program also affirmed that research has shown that diet drinks are linked to heart disease, stroke and diabetes. In question are the artificial chemical sweeteners used by soft drink manufacturers to produce a sugar-like sweetness without the calories. Most common of these are aspartame, acesulfame potassium or acesfulfame K and sucralose. Proponents of diet soda drinks argue that most of the damning studies are based on results of the use of artificial sweeteners in lab animals, usually rodents, not humans. Few high quality studies using humans have been published, they argue. While long term scientific studies involving humans are important, it would be unwise to discredit case studies and anecdotal records gathered by practicing physicians. Some astute doctors have made the connection between patients who drink diet sodas and a regularly occurring collection of symptoms. For instance, Dr. H. J. Roberts has been speaking out against aspartame for more than two decades “because of the profound adverse neurologic, cardiopulmonary, endocrine, and allergic effects of aspartame products.”3 He has recorded more than 1300 cases of what he calls aspartame disease which is a constellation of a number of disorders including Graves’ disease (an autoimmune disease affecting the thyroid), dyspnea (shortness of breath, breathlessness or laboured breathing), cardiac arrhythmia (irregular heart beat) and pulmonary hypertension (abnormally high blood pressure in the arteries of the lungs). When he suspects a patient is suffering from aspartame disease he advises his patient to read labels carefully and stop all use of aspartame. Often the symptoms stop within two days of quitting aspartame consumption, but will recur if the patient begins consuming aspartame again. When your body processes aspartame, it breaks phenylalanine down into hormones and neurotransmitters that send messages to your brain, heart and lungs. These chemical messengers are responsible for some distressing symptoms like irregular heart beat and shortness of breath. In addition, another chemical part of aspartame is converted to methanol, a poisonous gas used as a fuel additive. If you drink diet drinks because you want to cut calories and lose weight, you must consider the health cost of using artificial sweeteners. Do we need to wait for science to confirm without a doubt that artificial sweeteners are dangerous before we quit using them? Even if diet sodas were an effective weight loss tool, would you want to jeopardize your health just to shed a few pounds when there are healthier ways to lose weight and keep it off? It just isn’t worth it. Water is always the best but when you crave something with a little more pizzazz, reach for healthy hydration instead of diet pop. Here are some easy favourite thirst quenchers for you to try this summer. For natural sweetness without added calories, try stevia. It’s an easy-to-grow leafy green plant with very sweet leaves. You can use the dried, crushed leaves to sweeten summer drinks. Commercially, the sweet extract is available as a white powder or as drops. You can also buy naturally flavoured stevia drops that infuse the extract with vanilla, toffee, hazelnut and other flavours. Mix ½ cup pure, unsweetened cranberry juice in a glass of sparkling water. It’s tart and delicious! Try stevia (drops or powder) if you like it sweeter. 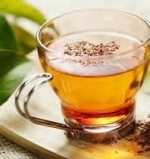 Put 2-4 rooibos tea bags (most grocery stores carry rooibos tea) in a 2-litre jar and add boiling water. Let cool and serve plain over ice or with soy milk and a few drops of flavoured stevia drops. In a litre jar, mix the juice of one freshly squeezed lemon with 1 tablespoon of liquid honey and 1 teaspoon of fresh ginger juice. To make ginger juice, grate enough fresh ginger on a fine grater and press the grated ginger through a strainer. 1. Stephen D. Anton, “Can Non-Nutritive Sweeteners Enhance Outcomes of Weight Loss Interventions?” http://anschutz.new-media-release.com/study/downloads/oby20779_NNS_editorial.pdf (Accessed March 9, 2015). 2. “Diet Soda Won’t Help You Lose Weight, http://www.cbsnews.com/videos/diet-soda-wont-help-you-lose-weight-new-study-says/ (Accessed March 9, 2015). 3. H. J. Roberts, “Aspartame Disease: A Possible Cause for Concomitant Graves’ Disease and Pulmonary Hypertension,” http://www.wnho.net/aspartame_disease_caused.htm (Accessed March 9, 2015).